So driving to work today in my 2000, and all of the sudden i look down and the display is black, can't adjust or turn anything on, then within a few seconds the brake and anti lock lights light up, and if the display comes back on those lights go back off, Whats going on there? Have you recently had any transmission work done? Anyone messing with the 2 grounds that bolt to the top of the transmission? Many years ago I was working on a customers car that was having intermittent issues with the radio/climate controls at the same time as ABS/Trac problems. It turned out to be a loose ground on the transmission after there was some work done. If those grounds are still good, the next thing I'd check into is the printed circuit ribbon harness behind the dash. Sometime aftermarket radio installs will mess up this cable. This thing is driving me *fook* nuts!!! It seems worse after I I’m bolted this from the trans? But even up in the harness if I *fook* around the abs lights will come on? I’m the only one working on it so I don’t know what *fook* wire I touch brings back the heater controls? What is this box? Just a ground? Can I splice all three wires that going into it into one ground? Last edited by Newbie2000 on Thu Oct 18, 2018 7:37 am, edited 1 time in total. A) Replace it (I'm sure Andrew can sell you one). B) Take it apart and clean the terminals and bus bar. You may also want to ensure the wires are crimped well to the terminals that plug into the splice pack. You will need to disassemble it to determine this. You can see in the photo that the wires have terminals attached and they simply slide into the bottom of the splice pack. There is a gray plastic part around the cavities where the wires are inserted. This is called a Terminal Position Assurance lock and it must be removed to either add or remove terminals. The top (where the metal tab exits the top) snaps into the body of the splice pack. You can remove this exposing all the terminals the wires are attached to. If you do this, you can also press the release tab to remove a terminal through the bottom. could be it, those clump of wires when i was looking for the issue yesterday i could hear the bell inside the car go on and off that was lighting the anti brake and brake light on at the same time the heater screen goes on and off with them, i was thinking it was inside the cluster of wires , but i see nothing wrong as far as a broken wire etc, it could've been the wires pulling on that splice pack? I found a link showing how it comes apart, i'll check it today after work! Does anyone have a wiring schematic of the big cluster i have the tape off? Top it off this morning the *dang* wipers don't work ,lol. The washer does tho. Its all gotta be on one circuit to effect those things i'm seeing? 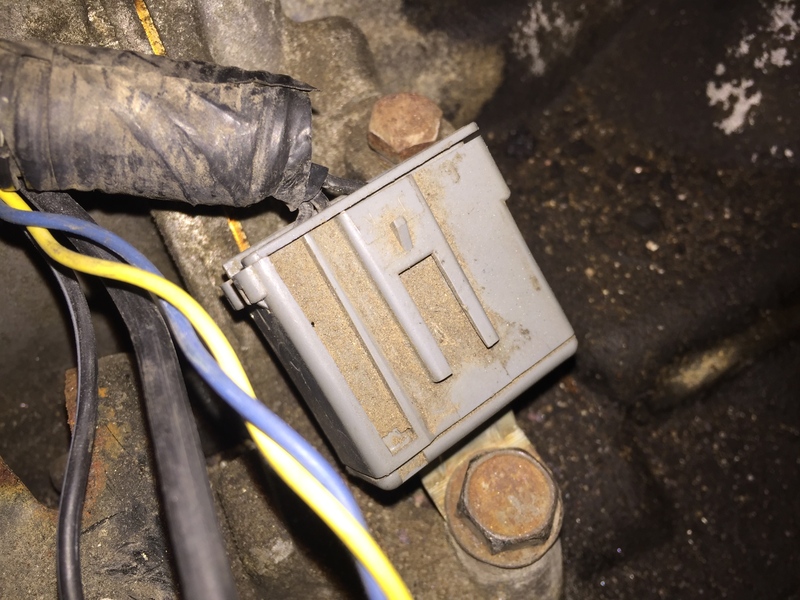 I had a loose fuse in the rear block which would cause my CC and heated seat controls to intermittently come on and off. I forget which one it was though. Since some of your problems seem common to this ground, I would check it. G106 is located in the engine compartment, near the left strut tower, on the frame rail. 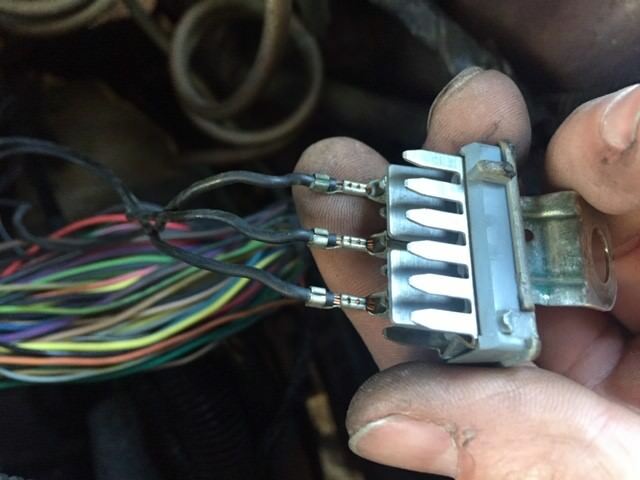 It should be underneath a big connector that joins the main body wiring harness to the engine wiring harness. This will also be a splice pack. Start there and see what you find. Wiggling that bundle of wires may cause enough shift in the harness to move the wires going into this splice pack. The fuse panel under seats? So Still dealing with this, I think I may have discovered something, It seems like once it comes on after being off, its ok and will stay on? But the minute i stop and need to put it in park it will go out, and if i go back into drive it may or may not come back on, But every time going into park it will shut the heater controls screen off and the anti lock and brake light come on, and sometimes my trac control light stays on and sometimes it stays off independent of the anti brake light deal also. Guys seen this? Or where i need to search for this? You never really reported back about what you found with the splicepack in the engine compartment, other than excessive corrosion. So here's the thing... This may in fact be more than one problem. Often we tend to focus on a single solution. We've had numerous instances on the forum of people realizing (afterward) there was a couple of things that needed to be repaired. If there is as much corrosion as you mention, I have no doubt this could easily have affected those grounds. It may not be an easy repair (in so far as getting it all apart), but I still suggest starting there and moving on afterward. I've been trying to look for some commonality between your symptoms, but some things just don't fit together (hence attacking this one thing at a time). If you have access to a high-end scan tool, codes will also help. There will definitely be some stored since you have indicators illuminated, but the corner parts store scan tool won't help. I know I'm Sorry, i put it all back together and its still there. When I had it apart, i just slid the grounds on each peg and then wiggled them etc and i couldn't get the lights to act up at all, So I put it back together, as far as the other one on the frame under the master cylinder u told me about, I just unbolted it, the threads were somewhat rusty in the frame and i wiggled and played around with the wires too that went in the splice pack to no avail? Its very confusing to say the least, but its connected somehow to whatever controls the headlights and the park setting, cause don't the headlights go off the minute u put it in park? I think they do and will verify today, Like I said it will be off sometimes when i start it and as im driving just pops back on and works, the minute i slide it into park it goes out. When I first bought this car there was a lot of history on the ABS etc on the parts store scan tool when I was chasing the misfire deal, Could it be connected the guy thought it had it fixed when i bought it and now its coming back? 1. The ignition is ON. 2. The exterior lamp control is OFF. 3. The transmission is not in PARK. 4. The ambient light is bright enough (if it's too dark, the regular low-beam headlamps will illuminate instead). In these cars, the park brake has no effect on DRL's. The ABS module shouldn't have anything directly to do with the HVAC control, but there are a lot of possibilities. Chafed wiring harness, water intrusion (from prior work) into connectors passing multiple wires in unrelated circuits, just to name a couple. My first step is always to look for common problems between the systems, but in this case, it's looking less like a ground issue. I'll try and dig into this more, just can't promise how quickly I can get to it. Those electrical gremlins can be so hard to pin down, made worse with older computer circuits making it impossible to really see what connects to what. I also had an issue (IIRC??) where there was a brake service requirement causing warning lights to behave oddly. What the car probably wants is to have all of the wiring and electric replace like new. One of the huge challenges of early 2k or 1990's vintage cars is so many electrical things can start appearing. I hope you're able to locate the issue - make sure all the wires and plugs are clean of course. '97 SSEi, Majestic Teal / Beige interior, Bose, HUD, iPod ready! - SOLD! Check it out! '99 Buick Regal LSE, Matador Red / Beige interior - SOLD! Check it out! '96 Chevy Camaro - White w/Black / fire red interior, 3800, manual, loaded, T-tops, Bose - SOLD! Check it out! Regarding the headlights, on your car, the DRL's are the high beams connected in series (as opposed to parallel). This makes them dimmer than if they were on as regular high beams. 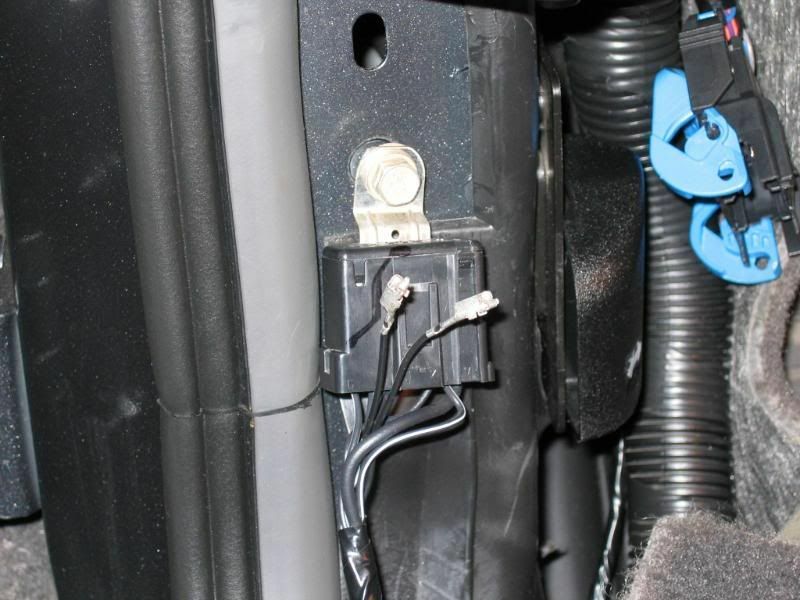 In 2000-01 the wiring in the dash is a flexible printed circuit. I'm almost wondering if you don't have a problem with this, given the description of some of your problems. Tough to say. 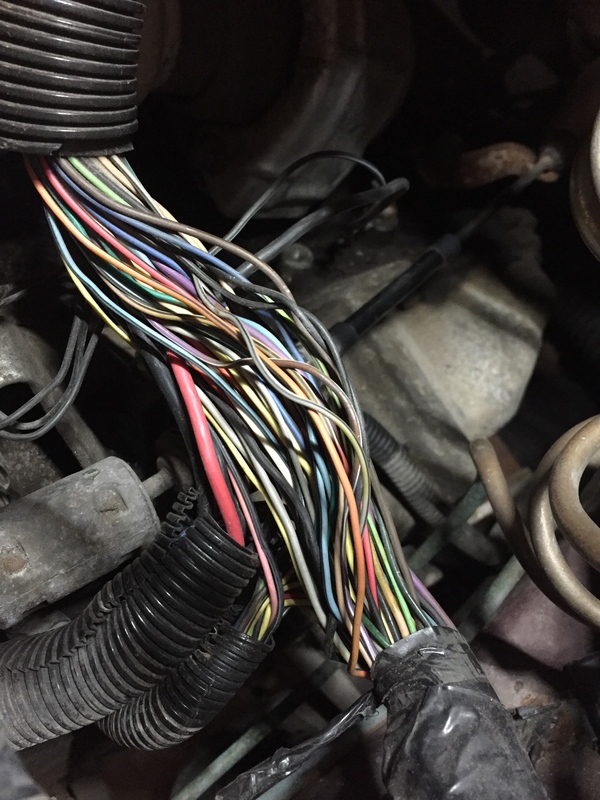 Fortunately GM made some significant improvements in wiring for the 2000+ Bonneville and electrical problems aren't nearly as common. Having said that, the technology in general is night and day different as well. Far more extensive use of modules and data bus technology which, generally speaking, is fairly reliable. Intermittent problems are almost always difficult to solve, especially remotely. The problem here is that it really isn't a common problem at all which means starting pretty much from the beginning. I'd feel a lot better about tackling this if the car was in front of me while I had access to my tools and diagnostic equipment.